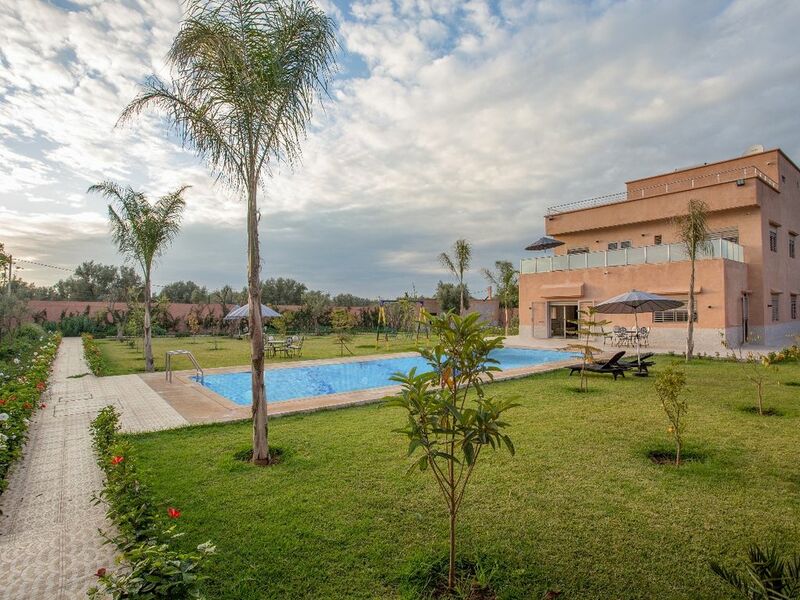 VILLA detached end 2018, built on a private plot of 2000 m2, only 35min from Marrakech on the famous route Ourika. The villa is composed of two large living rooms with TV, a dining room with TV, an entrance hall, a kitchen, washing machine and common toilet, 4 bedrooms and 1 suite (2 double beds + 9 beds singles) with 3 bathrooms, two terraces with magnificent views of the Atlas and a spa Hammam. A PRIVATE outdoor pool without any vis-à-vis.